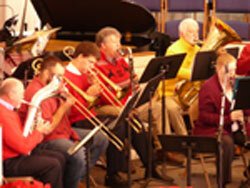 There are more than 500 accounts in the Bible of songs, instruments, psalms, music, and musicians. 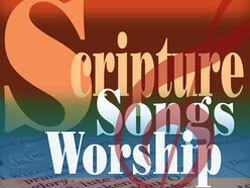 Forty-four of the sixty-six books of the Bible contain actual hymns and songs. 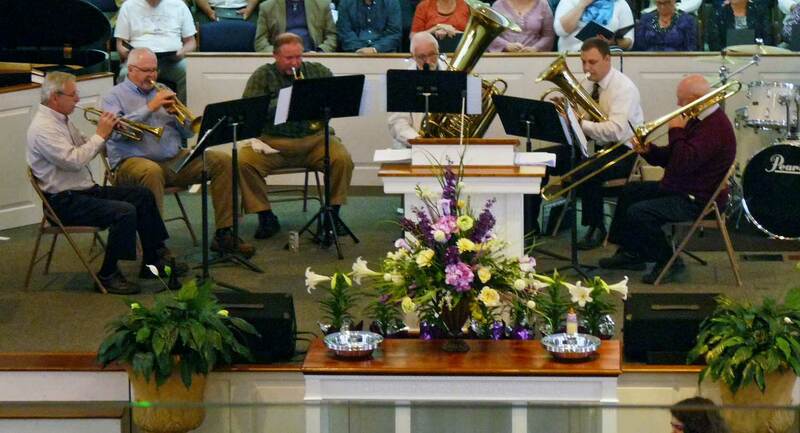 Music plays a very important role in the life of the Church. 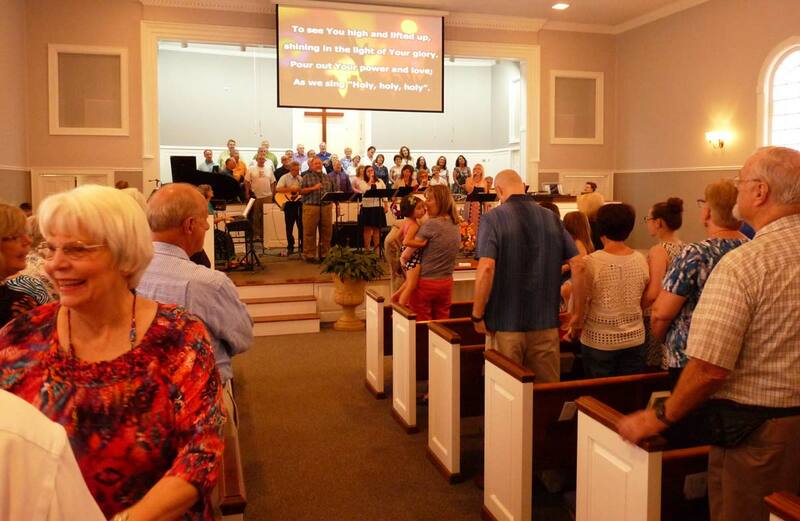 Church Music provides opportunities for worship, praise, prayer, evangelism, and fellowship. 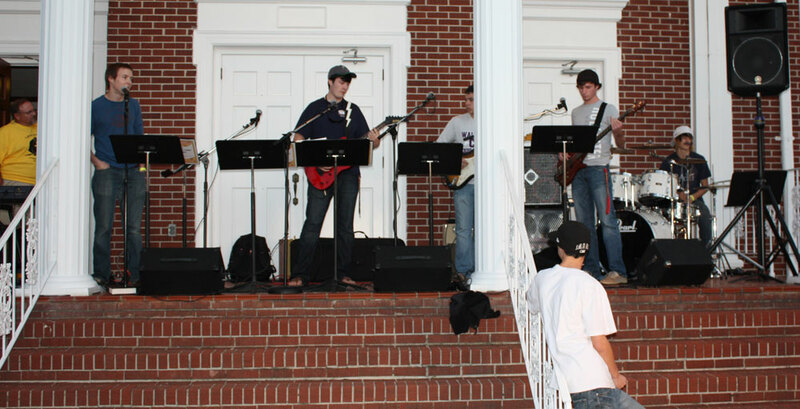 The Music Ministry here at College Street seeks to provide these opportunities through a variety of music and styles. 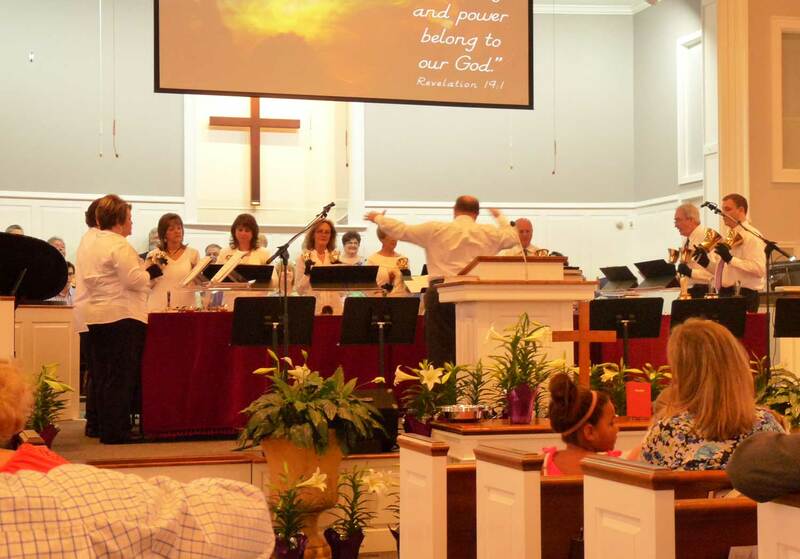 Our goal is to always give Glory and Honor to our Lord and Savior JESUS CHRIST. 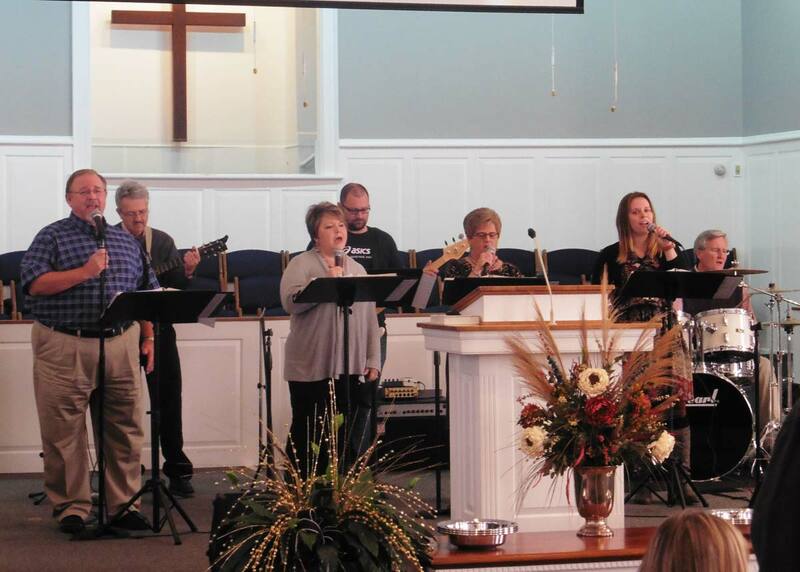 CSBC Handbells (above) - March 27, 2016; CSBC Praise Team (below) - Click each thumbnail for larger picture. 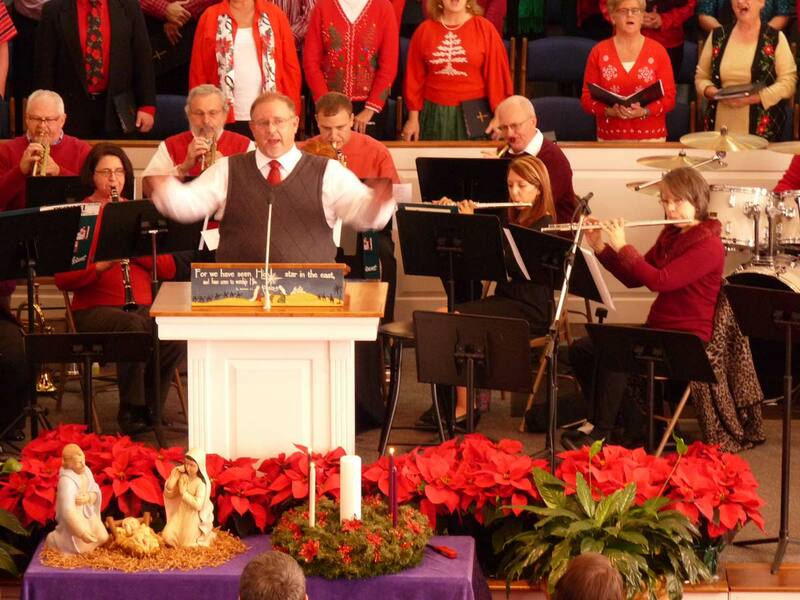 The CSBC Orchestra and Adult Choir -- Sunday Morning, December 3, 2017. Click for larger picture. 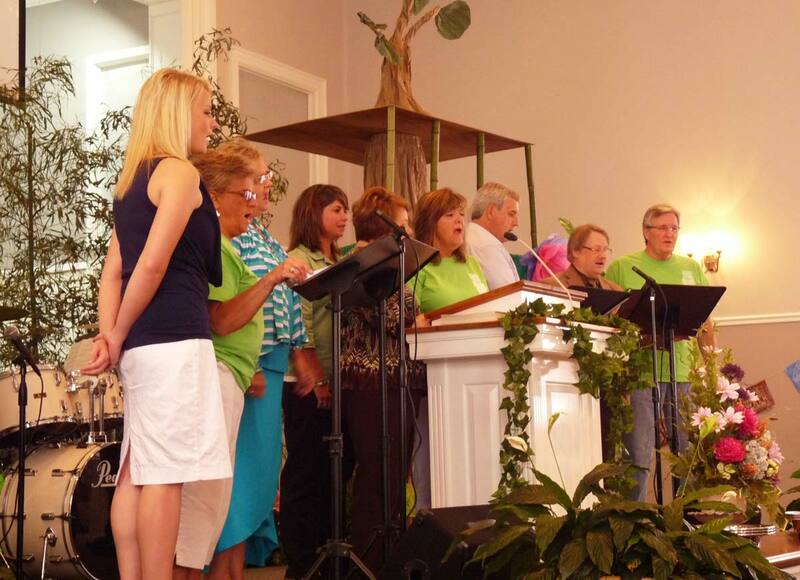 CSBC Praise Team during the June 7 Morning Worship Service - click for larger image. Our M*A*R*K Club (Music and Recreation for Kids) held their final class sessions for the 2014-15 school year on Sunday evening, May 3. Following the classes, the Preschool Choir and the K-2nd and 3rd-5th Choirs celebrated the finale and "graduation" with the congregation by delivering a wonderful music program. 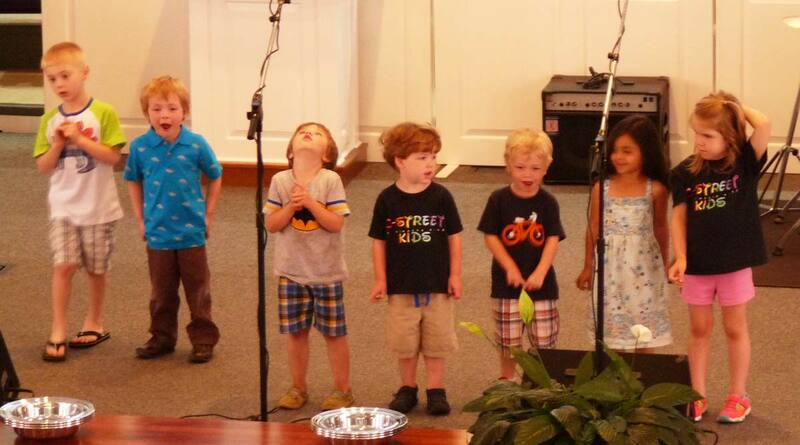 The M*A*R*K Club Preschool Choir. Click for larger image. 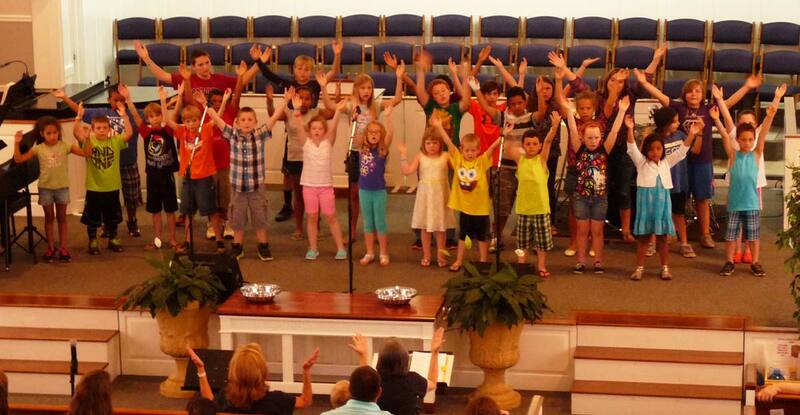 The M*A*R*K Club K-2nd and 3rd-5th Choirs. Click for larger image. 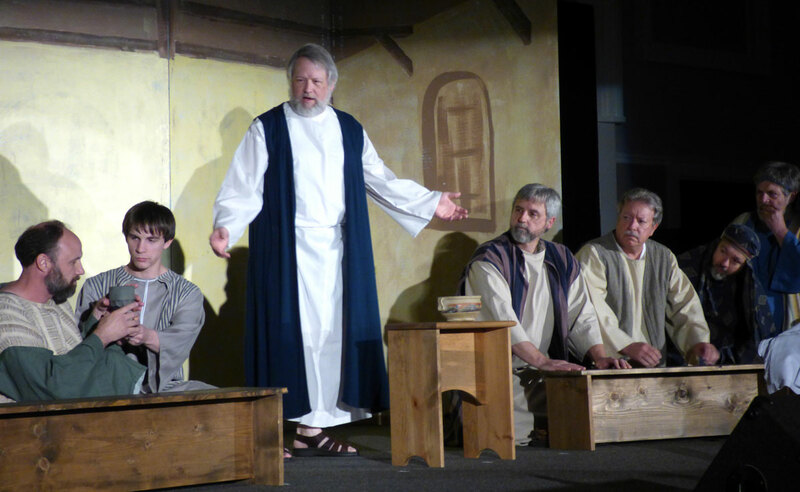 The Music Ministry of College Street Baptist Church presented the Musical Drama More Than Just a Man on Friday-Sunday, March 20-22, 2015. 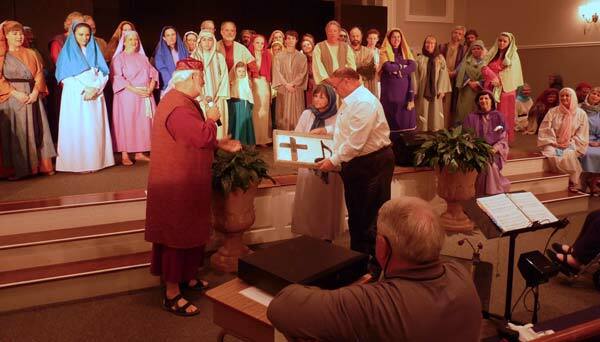 Cast and crew of the 2015 Passion Drama More Than Just a Man presented Ray and Vanessa Conway with a plaque in honor of their hundred's of hours of service and their leadership and dedication in making this year's wonderful production possible. 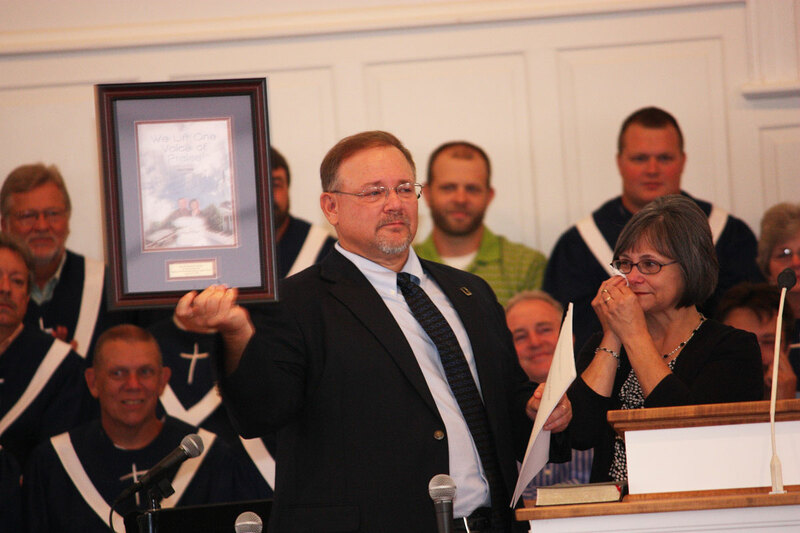 The presentation of the plaque was made by Pastor Ken Reid at the conclusion of the Sunday Evening performance on March 22, 2015. Click for larger picture. 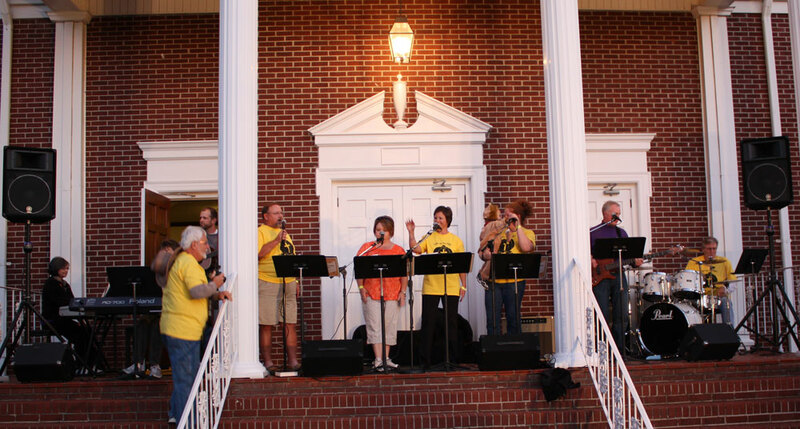 Our Adult and Youth Music Ministries Perform at the Fall Festival. 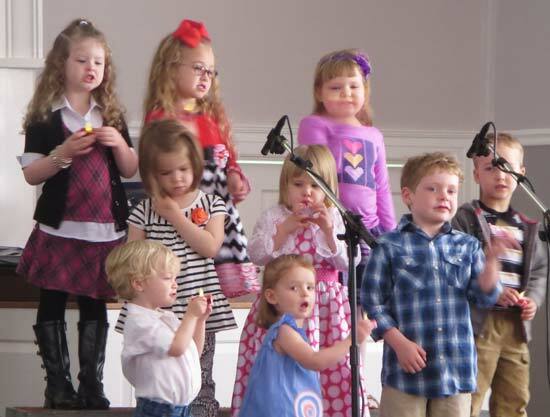 Our Fall Festival is scheduled for the last Sunday evening of October. Click each thumbnail for larger pictures. The Choirs and Orchestras of College Street, Seneca and Utica Baptist Churches presented the musical Celebrate America! 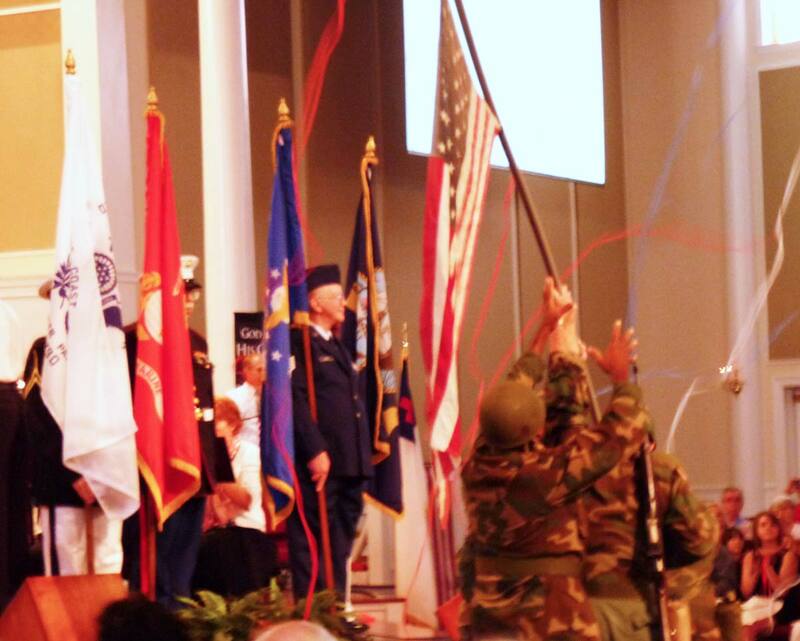 at the annual Community Patriotic Service at Seneca Baptist Church. 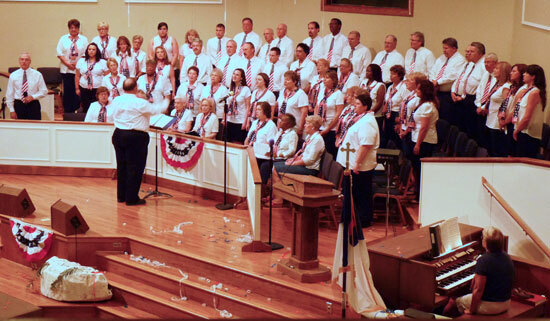 Almost every seat was filled for this great time of worshiping God, and thanking Him for allowing us to be a part of this great nation! 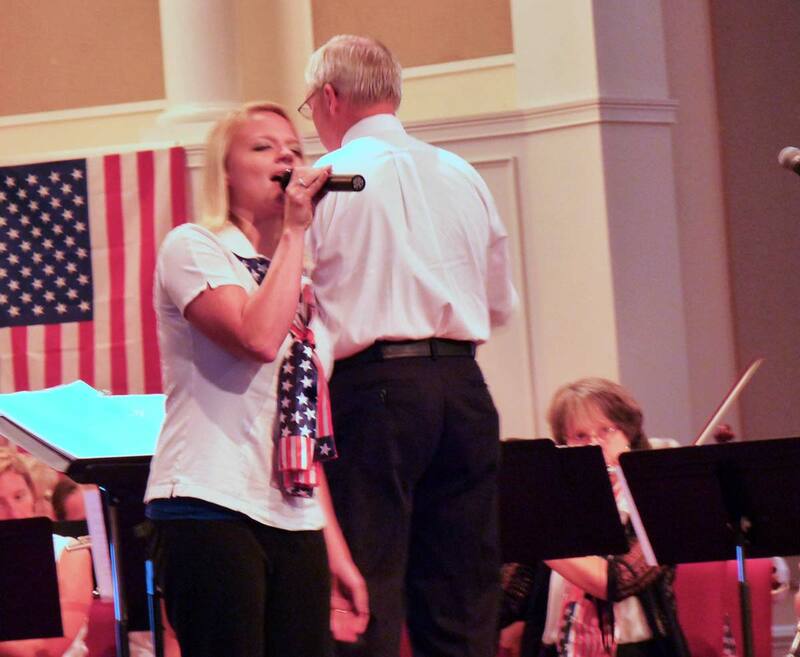 On Sunday, June 30, we began the July 4th week by celebrating our nation’s birthday with several very special worship times. 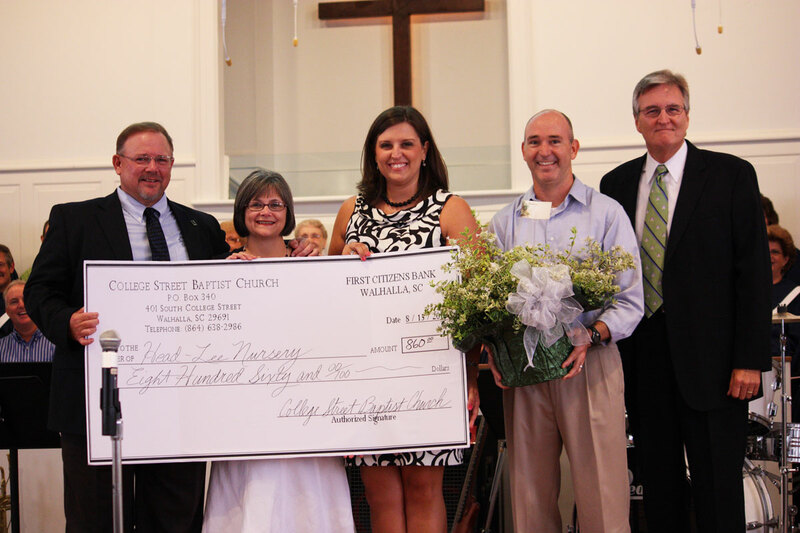 The first was at College Street during our morning worship service. 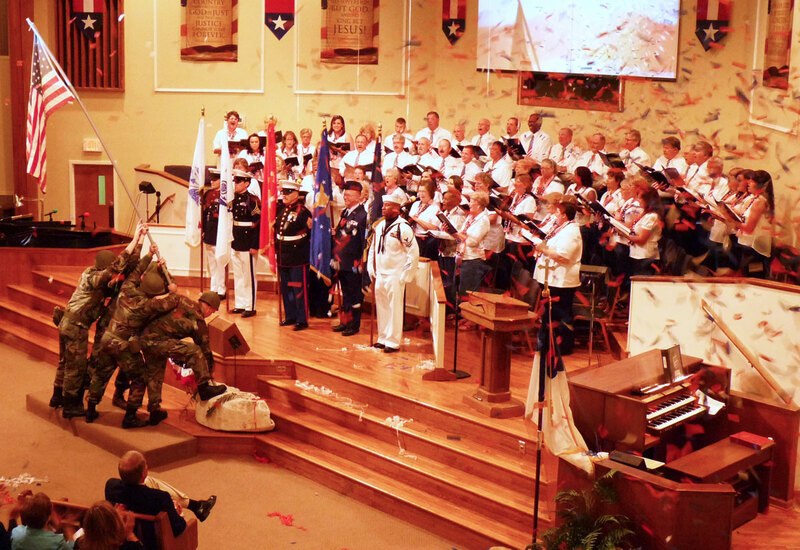 Our Adult Choir lead us in several selections from a new patriotic musical entitled Indivisible, along with some other very special selections and songs from our orchestra. 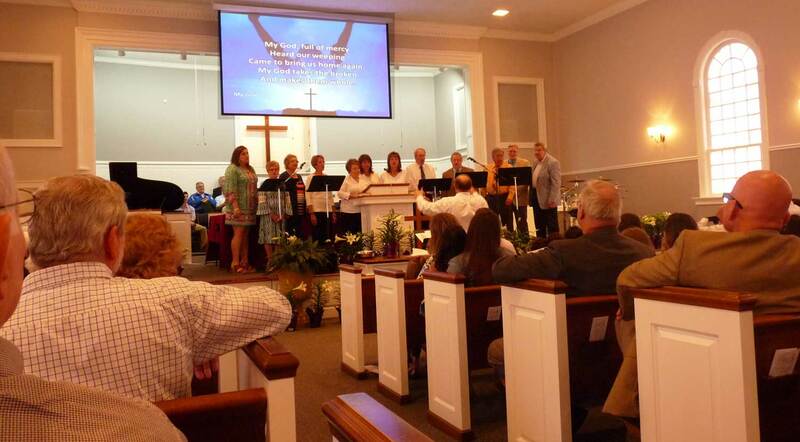 Then we celebrated as a community of believers at Utica Baptist Church. 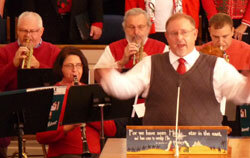 Our Adult Choir joined in with Utica’s for two presentations of the entire musical. Thanks to all who participated in these wonderful patriotic and worshipful services! 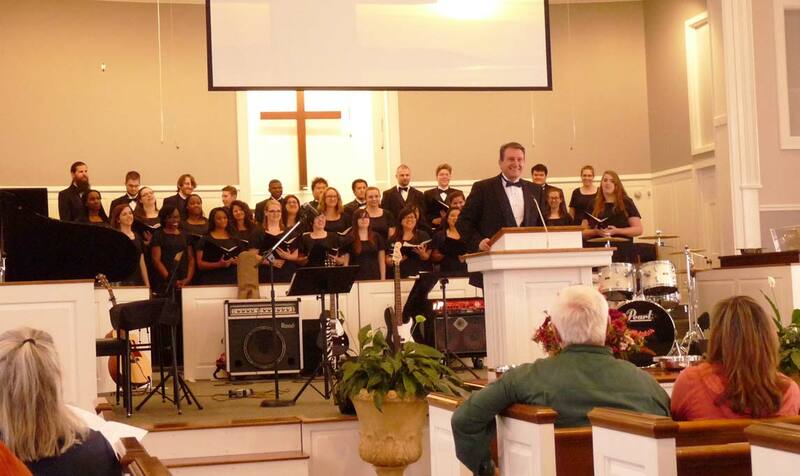 We were so very happy to have the Toccoa Falls College Choir, directed by Dr. Thomas M. Council, to come and lead us in a special worship concert on Sunday evening, March 23, 2014. 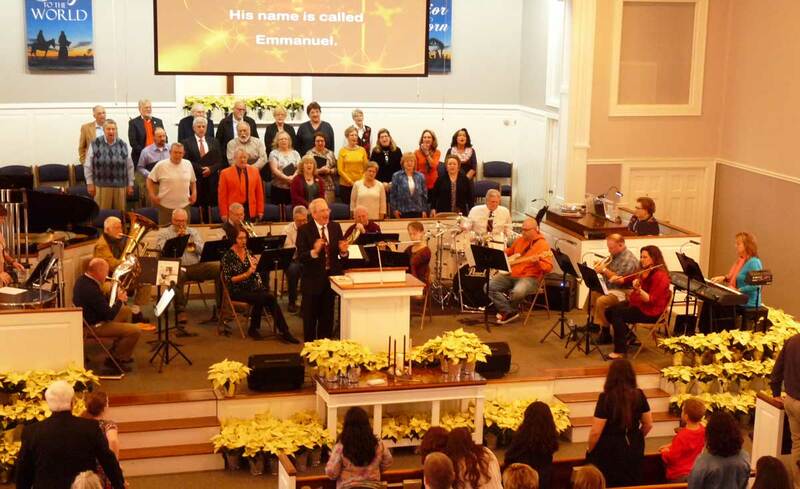 Selections preformed included A Servant's Psalm; Jesu, Word of God Incarnate; This is Amazing Grace, When I Survey the Wondrous Cross, and Jeremiah's Fire. 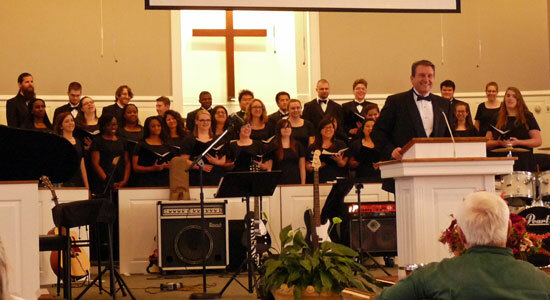 Many of the students provided us with their inspiring testimony in Christ. Click each thumbnail above for larger picture. 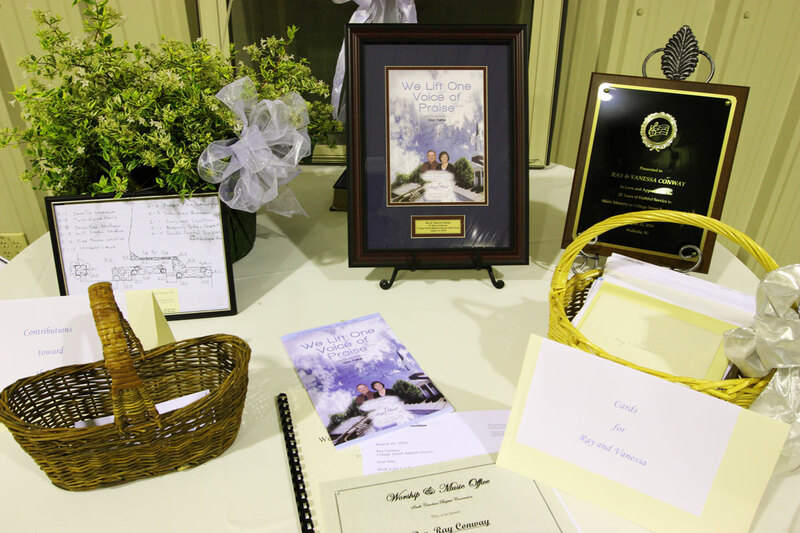 A journey that began way back in January 1981 with a small interruption along the way, continued on Sunday, August 15, 2010 with a packed house, special music, heartfelt speakers, tears, laughter, smiles and hugs and one great catered meal. 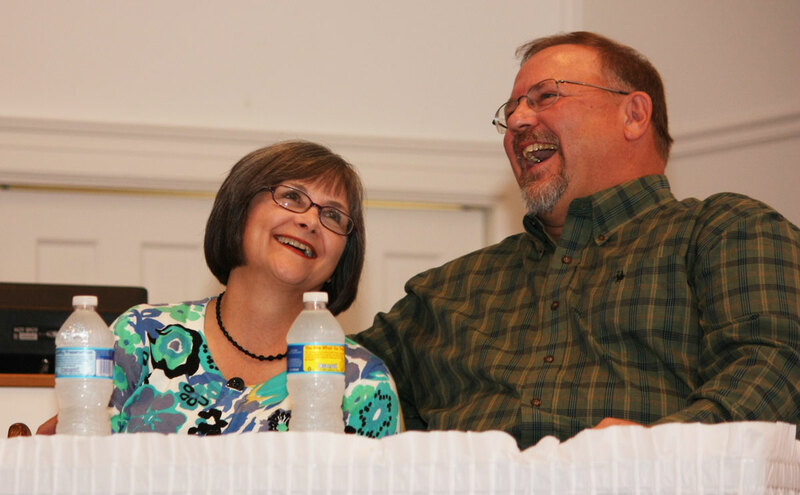 Ray and Vanessa Conway are in fact two of the very best and we are grateful and fortunate to call them ours and for them to call us home. 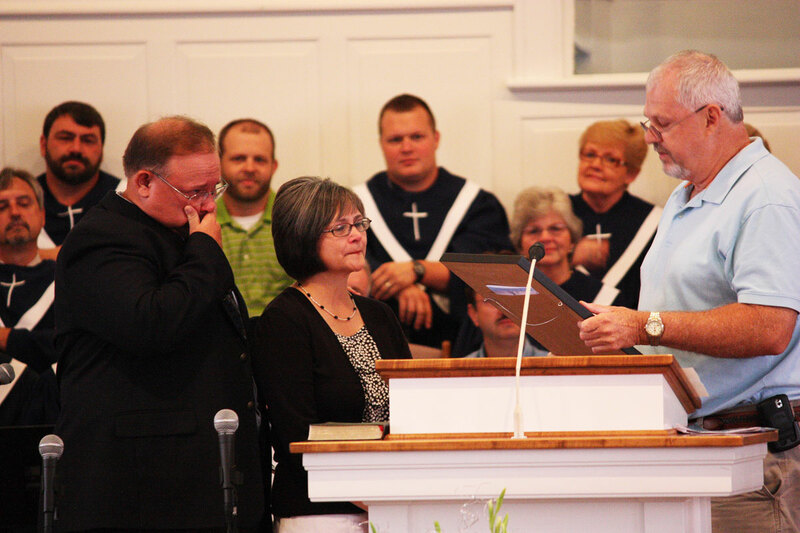 God bless Ray and Vanessa and thanks to each of you for the thousands of ways you have impacted this church, this community and all our hearts. 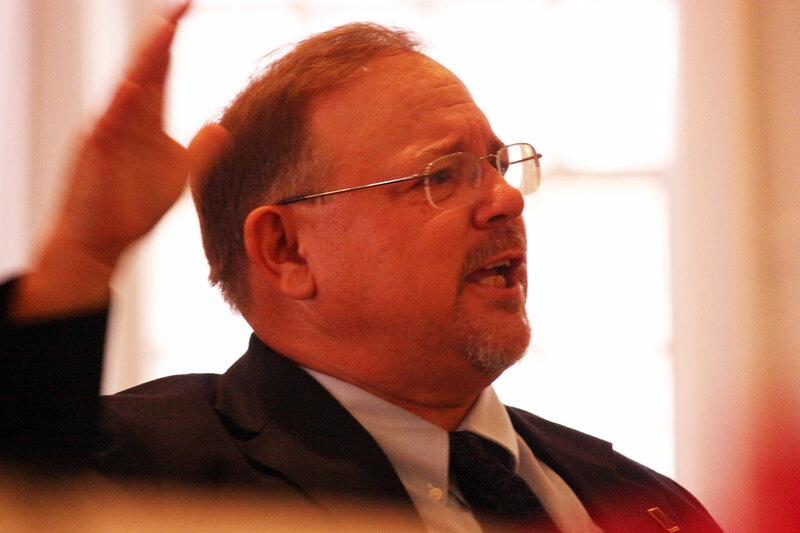 Many thanks to Mike Thrift and the steering committee for this celebration. 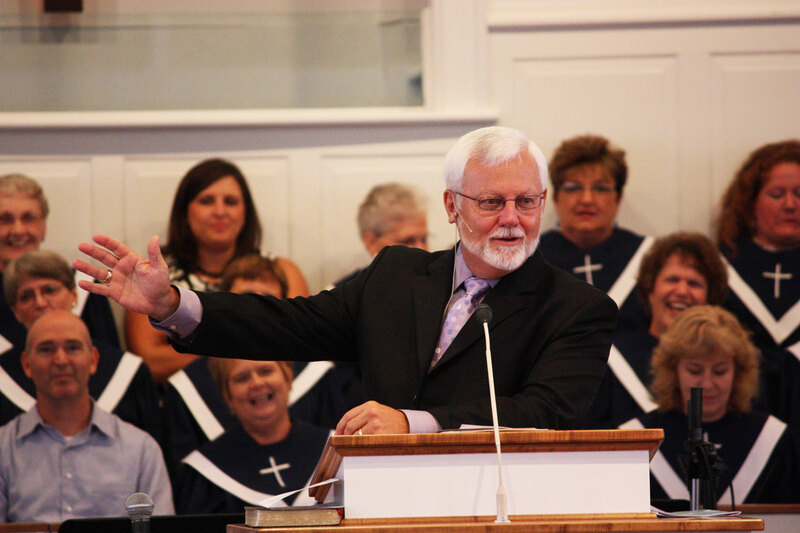 Enough cannot be said, but praise the Lord for your vision, your diligence and your tireless efforts. 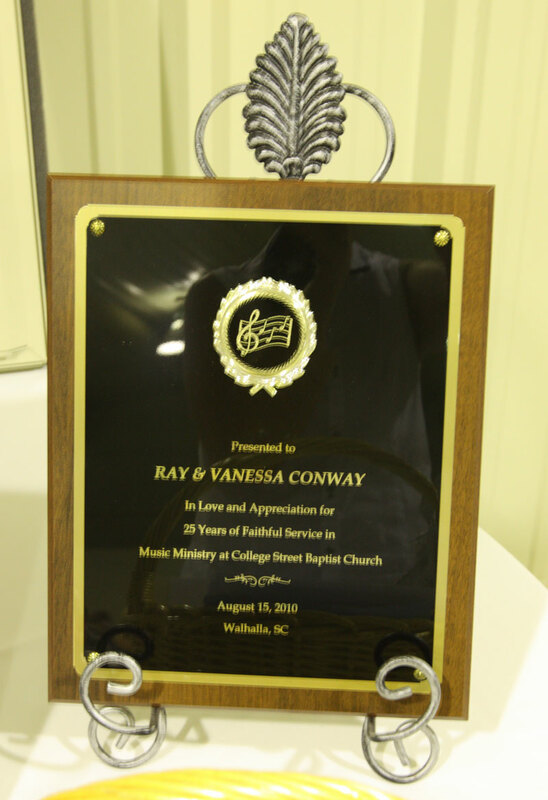 Each part of the celebration was just an extension of a very successful ministry as College Street celebrated Ray and Vanessa's many years of service to our church and to the Lord! 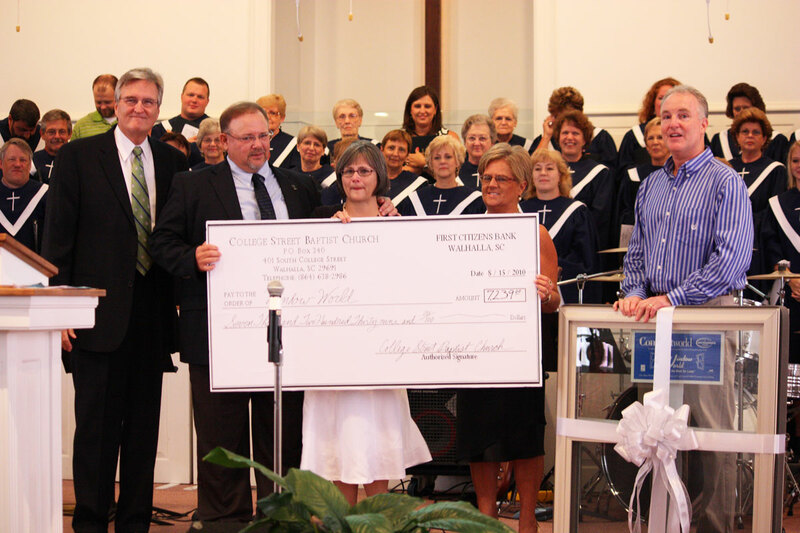 Click here for a complete photo album of the Music Celebration Weekend. Thanks to Gena Sykes for the great photography.